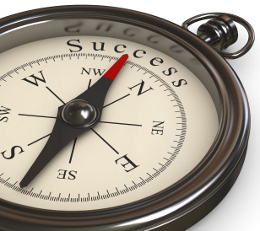 You are here: Home / Is Your Business on Course? Is your business on course? Yes? No? Don’t know? You might answer yes but is it really? Which answer is by far the worst? If your business is on course then that’s great. How do you know – because you’ve achieved your Q2 and year-to-date revenue target? Well that’s good but that’s a goal you’ve hit and doesn’t describe a course you’re on and so that doesn’t answer the question. A better question here would be, “Is your business on target?” The answer is clearly ‘yes’ – you are on target – but it’s not clear that your business is on course. “Does it matter?” I hear you cry. You’ve hit your halfway targets so you’re on course, yes? Well, no and yes it does matter – it goes beyond semantics. To be on course, there has to be a defined route. If you’re following this route, you’re on course, if not then you’re off course. And if you argue that it doesn’t matter which route you took because you hit your target so all’s well then I would argue that because you don’t know how you got there, you don’t know how much of this achievement was down to luck so all may not be well. To reach this half-year milestone did you define a route you were going to take to get there and did you follow this route? Did you create a strategy and implement it? If you did, then yes, you are on course. If you didn’t then your business isn’t on course because you didn’t create one. And here’s why this matters. Your regular customers may have maintained or increased their spending levels and, in addition, you may have acquired enough new customers to hit your targets. But if your regular customers hadn’t been able to maintain spend or you’d lost your top 2 or 3, would you have hit your half-year revenue targets? Almost certainly the answer is no – you would have missed your targets and therefore luck played a part – you were relying on the success and continued spend of your regular customers and you had no back up. And if you do miss your targets then where are you? What will you do? How will you know what went wrong and what’s the best course of action to take? You won’t know. And whilst you try to figure it out your business is standing still and vulnerable to the threats that surround it. Before long the law of entropy will kick in and your business will start to fall apart. Of course your business may be following a well defined course – strategy – and still miss your targets. But at least by having this strategy – and the systems to monitor progress – you can see why you’ve missed your targets and you can therefore do something about it. You have visibility and with that you’ll see that your business has veered off course before it veers off too far to cause much damage. That is the fundamental difference between following a defined course to hit your targets and hitting your targets regardless of the route you take. One is based on certainty and control and the other on hope and luck. A few years ago I was approached by a business owner, whose business had fallen dramatically after a few years of decent growth. A quick review of his sales history showed that around half of his business was spread across 5 or 6 customers but he supplied his products to over 100 customers. Way too much of his business was reliant on those few top customers and then one of them didn’t place their usual annual order. It turned out that their market sector was suffering and this company was fighting to survive. Up until that point this owner had been hitting targets but he wasn’t on any defined course – he didn’t have a strategy. Up until this point his luck hadn’t run out. It took him over a year to get his business back to where it was. Taking the long-term approach – if my client’s customer had repeated his order then my client may well have seen that all was well financially and not seen the underlying vulnerability of his business. So, even if you’re on target financially, make sure that it is based on a well defined strategy and that you have other important metrics that you are measuring and hitting and not simply measuring your financial results. Are you attracting and converting enough prospects? Are they what you would call ideal prospects? Do you have enough customers so that you can recover quickly from the loss of 1 or 2? If not are you certain that you are meeting your customers’ needs and that you have strong relationships with them? Do you know that their business is strong and healthy and they aren’t going to disappear any time soon? Are you able to support the needs of your growing customer base? Do you have the resources and capabilities to handle this growth? To be on course means to be at a planned-for position on a planned route. It means you’ve created the right strategy and that you are successfully implementing it. It means that your business is strong and is based on certainty and control and not on hope and luck. That whether you’ve hit your half-year targets or not – you know why. This is such a huge part of what makes a business strong and it is only strong businesses that stand out and achieve their full potential. Is your business on course? If its not and you don’t know why, then your business is vulnerable and it needs to be stronger. 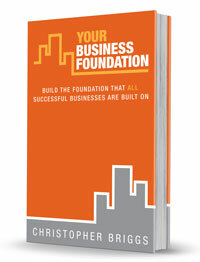 Download my free eBook, How Strong Is Your Business?, to see how to make your business as strong as possible and to test how strong it is now. Really interesting article Christopher, it’s certainly made me realise that even though things are ok in my business at the moment, it’s not on a well defined path, so I need to change that!